Windows 10 may be free, but that doesn't mean it's cheap: it's a robust upgrade with a heavy focus on smart, Cortana-powered voice control. It's a unified platform that uses the same code for the same apps on desktop and laptop PCs, tablets, phones and even game consoles. It's a better gaming platform — using that unified code to give PC gamers direct access to their friends on Xbox Live, enabling cross-platform multiplayer, game DVR features and even local, in-home streaming of Xbox One games to a nearby PC. Microsoft is even (finally!) replacing Internet Explorer. It's a big update. 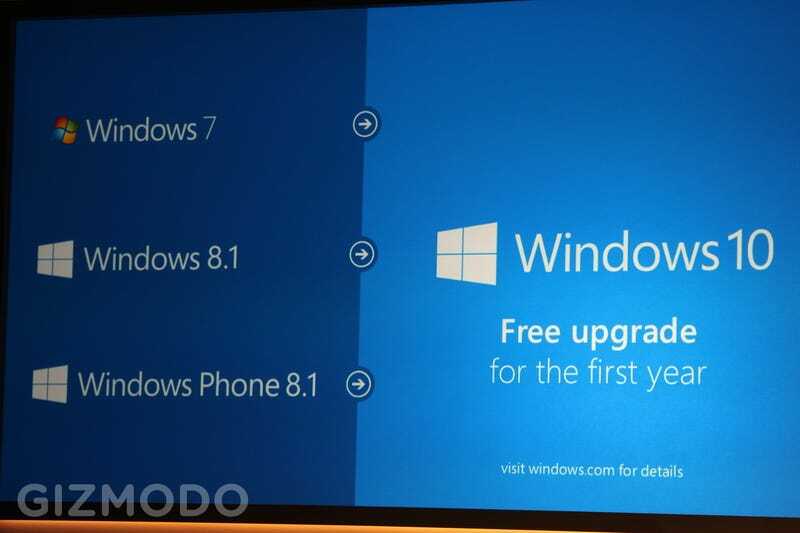 So, when can you get this completely free, enormous, platform-spanning Windows update? That depends. Microsoft Insiders can get an early build of the latest features as soon as next week, with phone builds available some time after the Super Bowl. The final, consumer build on the other hand? That's could be awhile (last we heard was still "sometime" in 2015) but hey, at least it's free.